Robot recruiting: ‘miracle solution’ or just another fad? - AnyGood? As those who follow us will be well aware, at AnyGood?, we’re fascinated with finding solutions that make hiring fairer, be it through our own work or the work of others. Last week an artificial intelligence robot called Tengai, developed to remove bias from recruitment processes, was presented as the latest ‘miracle solution’ to the problem. The trend of hailing AI and robot recruiting as the catch all answer to the problem of bias in hiring is something that has been around for a while now, with the common argument something along the lines of that, as more companies automate the recruitment process with technology, we’ll eventually reach a point when human recruiters will no longer be needed, and the human element will be completely eliminated from recruitment. While, I’m all for innovative solutions to the problem of bias in hiring, and can see the potential of robot recruiting, I’m uneasy about the idea that the true potential of a candidate can be recognised by artificial intelligence, and even more so that it can offer a completely objective hiring process. So, what’s the latest? Tengai, designed by Furhat Robotics to look exactly like a human (although we’re not quite sure what human they had in mind), was revealed to the media in Stockholm last week. 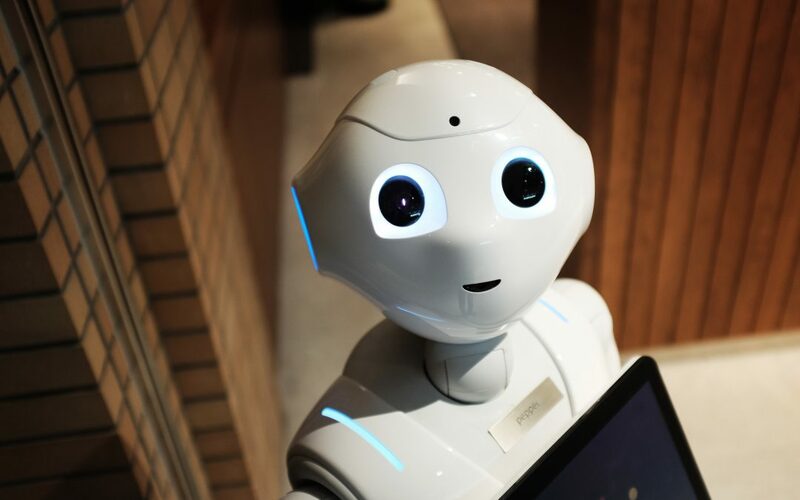 The robot has been under development for the last four years and is intended to accurately mimic human speech and facial expressions to look as similar as possible to a human recruiter. For the last few months, the company has been collaborating with one of Sweden’s largest recruitment firms, TNG, with the goal of eventually offering candidates job interviews that are free from any unconscious bias. Quotes from the company and those testing the robot were filled with positivity, claiming that this would herald a new age of recruitment process with zero bias. However, I’d like to address this claim, and point out number of problems with robot recruiting. Firstly, with the vast diversity of race, gender and ability we have in workforces today, is the feature of only asking the same set of questions to all candidates– something the company sells as an enabler of diversity – really the best way to remove bias? Certain groups and communities may require different approaches and different sets of questions, and Tengai’s ‘one size fits all’ approach may in fact be hindering efforts. I fear for the individuals that fall outside of what the ‘system’ determines as the ‘right’ way to behave. On top of this, with programming teams often male-dominated and lacking racial diversity, historic biases may already be ingrained in certain AI hiring functions. This is something that has been seen in some of the most ‘sophisticated’ artificial intelligence bots. In fact, a recent study of the facial recognition software of Microsoft, IBM and Face++ reflected this. The systems were shown 1,000 faces, and told to identify each as male or female. All three did well discerning between white faces, and men in particular. However, when it came to dark-skinned females, there were 34% more errors. Ultimately, while tech should absolutely play a role in reducing the conscious and unconscious bias that we see so often, we need to be cautious over the immediate rush of optimism toward developments such as Tengai. In my experience, the hiring process has, and always will be the main obstacle to change. As something that has remained static for so long, without root and branch change to this, true diversity and a removal of bias cannot be achieved. Rather than superficial modifications to existing practices, such as robot recruiting, an overhaul of the entire system is needed to level the playing field. As technology develops and AI becomes more common, I think the deciding factor that will lead to its use is that of trust. Personally, I would trust those from my network over a robot when it comes to determining whether a role would suit me. This is the basis of AnyGood?’s solution, where people put forward professionals they know for jobs they think that they would be perfect for, leading to a more human, more transparent, and more personal process.